Heineken Thirst returns! The most epic party of the year returns with two electrifying and empowering electronic music. This epic event will be happening on December 14, 2013 (Saturday) at non other than the most popular venue for rave parties, Sepang International Circuit. There will be two massive stages, Green Stage and Star Arena both promises an uncompromising and unconventional music experience. Are you excited to know the line-up for this year? I’m as excited to share them with you! Expect to experience a great night with David Guetta, Afrojack, Madeon, Example, W&W, R3HAB, and Nervo! One of the highlights for this year would be the custom-built festival site and the bars. Like Alice in Wonderland, once you walk through the doors of Heineken you will see a wonderland. Heineken Thirst headliner David Guetta, the man who brought the worlds of EDM, pop and R&B together will be lighting up the Green Stage and will remind us all why he’s the world’s most sought. The Dutch super-producer from Holland, Afrojack is currently riding on the crossover kick of this year’s single, ‘As Your Friend’ and ‘The Spark’. Award-winning former songwriters, Australia’s Nervo will rock the stage with high fashion glamour as they are one of the hippest acts on the EDM circuit. They were seen everywhere including one of the popular rave event, Tomorrowland to MTV’s VMA. With EDM being so popular in Malaysia, we can’t forget our very own superstars, Goldfish and Blink. Having recently inked a deal with Hardwell’s Revealed Recordings they’ve recently become regular features on the playlists of artists like Tiesto, Guetta, Nicky Romero and W&W. Another pride of Malaysia, BATE who topped JUICE magazine’s Best New DJs of 2012 poll. Who does not know W&W right? They are confirmed as Malaysia’s favourite! They mix trance and EDM in equal measures and they are highly ranked by artists like Armin Van Buuren, Tiesto and Sander Van Doorn. Another impressive Dutch artists on the Heineken Thirst line up, R3HAB! 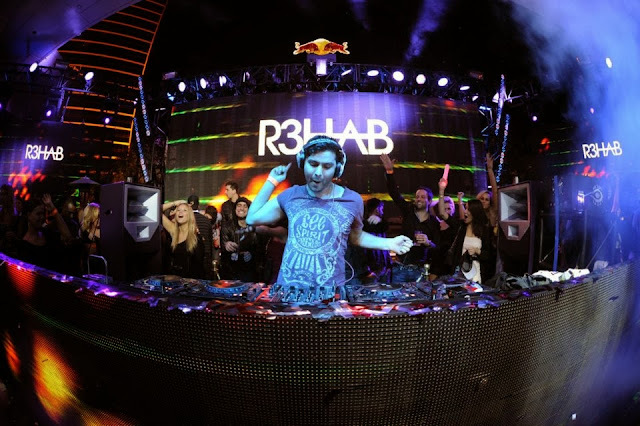 R3HAB has been identified as the next step in the evolution of the Dutch House genre pioneered by Heineken Thirst artists like Afrojack and Chuckie, and his sound has brought the separate worlds of EDM, rave and grime together. A touch of UK street style will be brought to Heineken Thirst by Example. A 19 year old geek, Madeon has a reputation for thrilling live shows, I definitely can’t wait to see that. Due to his love of new technology, he constantly break new boundaries as he wants to redefine the role of the DJ. XU rocked the Star Arena last year with his LapSap partner DJ Blink. Expect the unexpected because this year he will be bringing his own rough-edged take on electro and EDM to the stage, this time solo. BUNGA will be opening the Star Arena with an inspired take on the sundown set. I’m all hyped and ready for Thirst 2013, are you? Gotta hurry and get your tickets before it's sold out. To be part of Heineken’s exciting calendar of events, stay tuned at their Facebook page (www.facebook.com/Heineken) or Twitter (www.twitter.com/Heineken_MY).